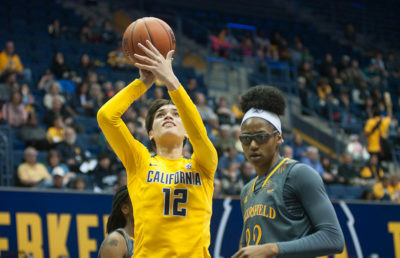 The Cal women’s basketball team’s prospects for earning a berth into the NCAA tournament in March are low, but there’s a way that it can be salvaged: the Pac-12 tournament. A stellar performance in the upcoming event could be just enough to make the Bears’ postseason dreams come true. Cal (18-12, 6-12) has earned itself the eighth seed in this tournament, and it is slotted to play ninth-seeded USC (14-15, 5-13) in the first round. The Bears have faced the Trojans once already this season — a 63-56 win at Feb. 5. 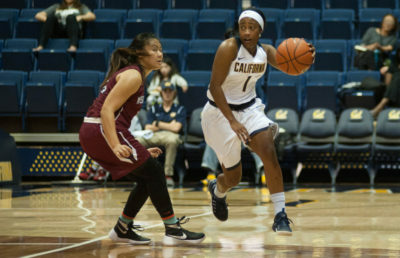 That game was neck and neck until Cal pulled away in the fourth, led by quad of double-digit scorers Penina Davidson, Kristine Anigwe, Mikayla Cowling and Asha Thomas. Since that game, however, the Bears have gone a measly 1-5 — although USC hasn’t fared much better at 2-4 — showing a distinct lack of all-around scoring that was so prominent in that early February game against the Trojans. Cal outrebounded USC in that game 35-25, a margin that needs to be replicated (largely on the back of Anigwe) in order to pull off another victory. But the Trojans, when they are on, have been able to pull down an astounding amount of boards — they grabbed a total of 40 in their recent win against Washington State. The Bears, who can sometimes be caught on their heels under the basket, will have to engage more actively in grabbing rebounds on both ends of the floor if they want to advance out of the first round. The Trojans’ best player is far and away junior forward Kristen Simon, who averages 14.5 points and 8.8 rebounds a game. 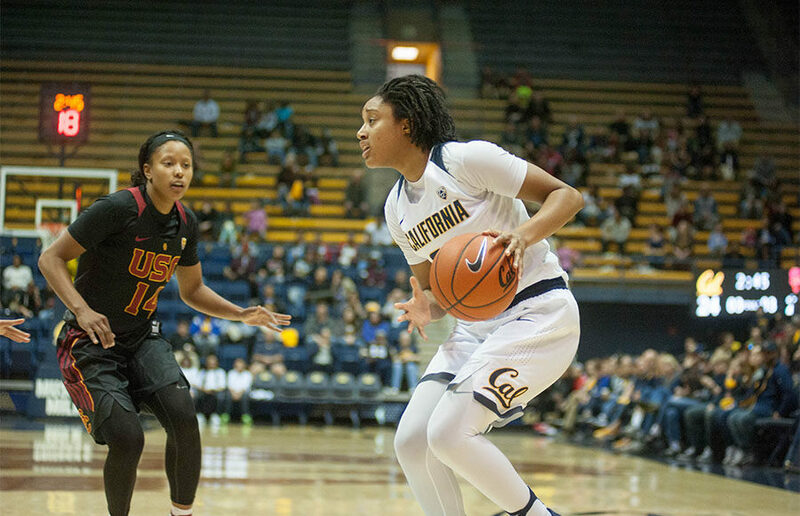 Cal will likely put its best defender — Cowling — on Simon, but she will undoubtedly need help to shut down the dynamic forward. Help defense isn’t exactly the Bears’ strong suit, so every Cal player will have to buck the trend of lazy footwork. If the Bears manage to beat the Trojans, they will face the most formidable foe in the tournament: first-place Oregon State. The Beavers have beat Cal twice this season, both times by double-digit margins. Oregon State secured the Pac-12 Championship outright in its most recent defeat of the Bears on Feb. 26, and it likely won’t be lazy when it comes to tournament play. Recently, new players have emerged as potential game changers for Cal. Jaelyn Brown scored 21 points last Sunday, and in Cal’s matchup against Stanford on Feb. 16, freshman Mi’Cole Cayton put up 11 points. The problem, though, is getting all of these pieces firing at the same time. 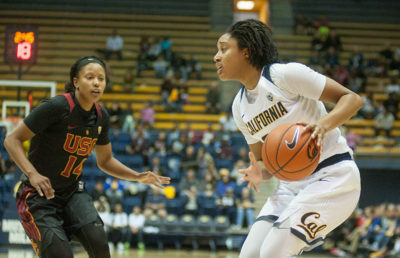 If, somehow, the Bears can get these two dynamic freshmen along with veterans like Anigwe, Cowling and Thomas going offensively, then a successful Pac-12 tournament should be on the horizon. But if they continue on the trend that has plagued them as of late they may fall early on and lose all hopes of a Mad March.